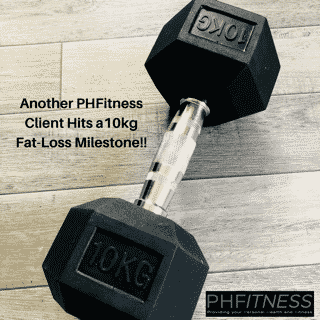 In last week’s PHFitness blog we wrote about how we had yet another client here at the private PHFitness personal training and sports massage studio in Derby, hit a huge milestone of losing 10kg of body fat since beginning their health, fitness and nutrition journey with us last year. Well this week, we are over the moon to write yet another blog post where yet another one of our PHFitness clients has also hit the huge milestone of a massive 10kg of fat-loss since his journey began with us!! Again, I will not be naming this person in public due to the privacy we have for our clients and the fact that I know, like our female client in last week’s blog, he would be hugely embarrassed by all the fuss. That does not stop us though from naming him in our private PHFitness Member’s Area where the rest of our clients are able to talk about the success, share their own experience and congratulate the individual personally!! Having that support network is a huge part of what we do here at the PHFitness private personal training and sports massage studio here in Derby and something that as a coach, is amazing to see!! So, yet another one of our clients has hit a huge weight loss milestone this week. 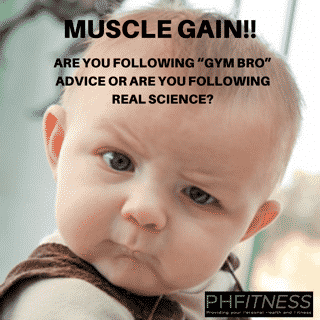 How did he do it, how easy has it been for him and what did we do at PHFitness to help? First of all, this weight-loss journey has not been easy. Our client has a young family and a full-time job in which can throw curve balls at him on a daily basis. Regardless of these factors, he has stayed consistent and adherent to the training plan and the nutrition advice and structure that we have given him. Yes, with work and life, he has had to sometimes take one step backwards before he has again taken two forwards but he has never given up, always been 100% honest with us and always gave us 100% in effort. As a coach, you cannot ask for any more than that and when you get that from a client, the results that you can get for them are literally endless!! We have not finished yet though, we still have goals to hit and more nutritional structures to implement but with the level of commitment and focus to his goals that he has, I have absolutely no doubt that he will push on to even greater fat loss and improve even further with his health and fitness in his training sessions. I cannot wait to continue our fantastic work together and get him even greater results by the end of the year!! In all the excitement of this week’s fat loss triumphs, it would be easy not to mention yet another huge goal that has been hit here at our private personal training and sports massage studio in Derby. This week has also seen our One Nation professional boxer, who we have been working with on his weight-loss and performance nutrition, come comfortably inside of his weight limit for his boxing match in just under a week’s time where he will fight for his first professional title. To say that it has been another productive and positive week here at PHFitness would be an understatement and I cannot wait to push on into next week to continue with getting our clients huge results and helping them to achieve their personal health, fitness and nutrition goals! !